Own your very own Enterprise! 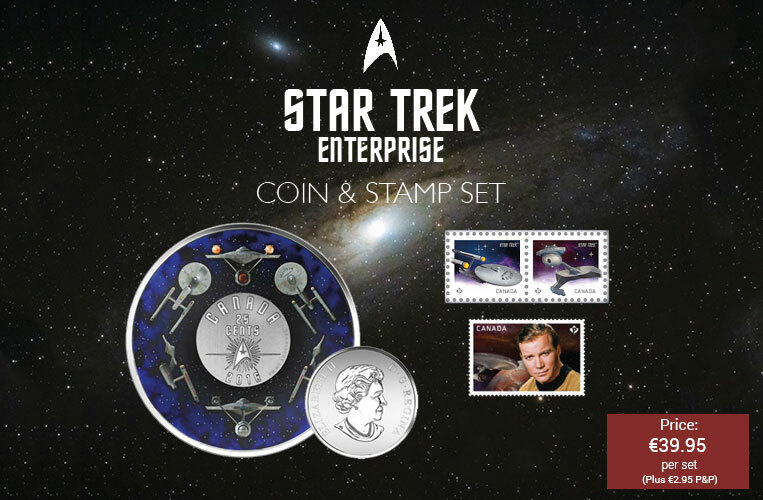 This special set includes a Star Trek-themed coin and three collectible stamps, all in one unforgettable package for €39.95 each! (Plus €2.95 P&P). Rest assured that you have no further commitments and your purchase is protected by The Dublin Mint Office 14 day “no quibble” return guarantee.